Tuesday night PROMO - Early bird gets up to 30% discounts! Well-placed in the sports, culture, sightseeing area of Singapore city, Traveller@SG Hostel provides a most conducive spot for you to take a break from your busy days. The hotel lies 1.0 Km from the city center and provides accessibility to important town facilities. A haven of rest and relaxation, the hotel will offer total renewal just steps away from the city's numerous attractions such as Scuba Corner, Lavender MRT Station, Singapore Immigration & Registration ICA Buidling, Little India. 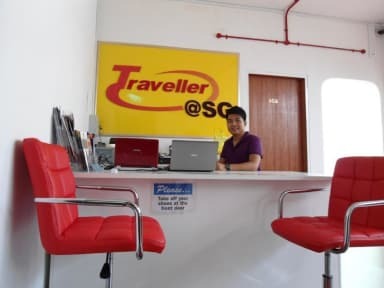 Traveller@SG Hostel offers impeccable service and all the essential amenities to invigorate travelers. Guests of the hostel can enjoy on-site features like free Wi-Fi in public areas and rooms, 24hour check-in, hot shower, safety deposit boxes, car park, laundry service/dry cleaning. 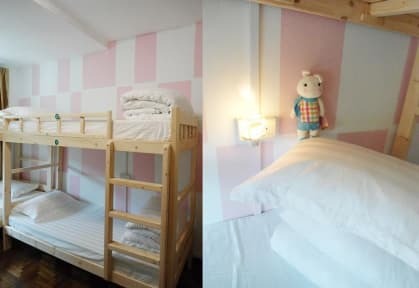 The hostel features 10 beautifully appointed guest rooms, each including ironing facilities, shared bathroom, internet access wireless (complimentary), coffee/tea maker, air conditioning. The hostel's garden are ideal places to relax and unwind after a busy day. When you are looking for comfortable and convenient accommodations in Singapore, make Traveller@SG Hostel your home away from home. 1) Our reception opens until 11:30pm. Self check-in facility will be provided for late arrivals. 2) Cancellations should be made at least 3 days before your arrival date. Any cancellation received within 2 days prior to arrival date will incur the first night charge. No-show without making cancellation will incur full amount charge.